If you use weapons/armor/creature mods you will need Scarcity because the more mods you use the more unbalanced Skyrim’s economy becomes. 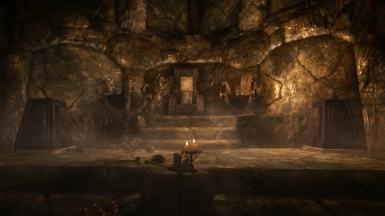 Scarcity fixes Skyrim’s broken economy and makes finding rare items rewarding again. - Thank you Bethesda for making my all time favorite games and providing us with the tools to mod them. - Credit goes to kuertee's Gold adjustment, and theNiceOne's Enhanced Economy mod for Oblivion for inspiring the ideas behind this mod. If you enjoy this mod please Endorse it! If you use weapons/armor/creature mods you will need Scarcity because the more weapons/armor/creature mods you use the more unbalanced Skyrim's economy becomes. 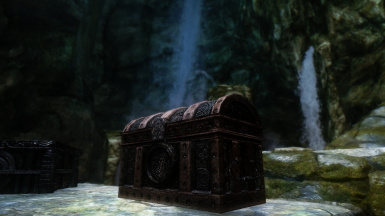 Scarcity fixes Skyrim’s broken economy and makes finding rare items rewarding again; it reduces ALL types of loot, even mod-added loot, so that there are less weapons and armor lying around, potions and gems are scarcer, and finding enchanted items is a genuine treasure--as it should be. Moreover, it reduces loot so you don't have to keep making trips to the same cleared dungeon again and again just to haul everything back. Scarcity is adjustable to make loot 2x to 10x less likely to find inside containers, dead creatures, and dead NPCs, and affects everything from arrows to lockpicks to scrolls to gold (gold from quest rewards are not affected). It will not touch quest-related items or items equipped by NPCs (as opposed to unequipped loot) so that fights will still be tough. With less loot in the world, Scarcity also optionally affects what merchants have for sale. Tired of every Blacksmith in Skyrim having multiple enchanted weapons and armor for sale? Scarcity can fix that, just choose one of the 2x to 10x Merchant Item Rarity modules to activate. Best of all Scarcity is fully compatible and will integrate well with all other mods, even those altering levelled lists themselves (see the "Compatibility" section). **Note that Scarcity's changes will immediately affect new containers, NPCs, and merchants you come across, but you must wait the cell reset time (usually 10 game days) in order to see changes affect containers, NPCs, and merchants in areas you have already visited. 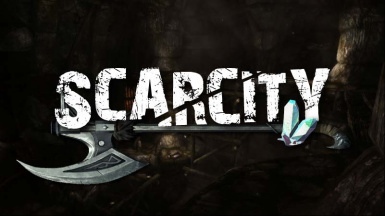 Scarcity is fully compatible with all other mods that add items and vendors to the game or alter existing levelled lists. All you need to do is include it in your Bashed Patch (see "Installation"). 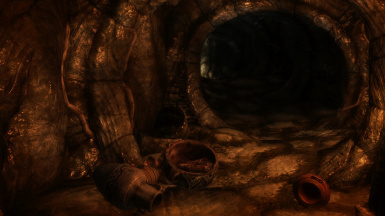 Scarcity will apply to all mod-added items that utilize Skyrim's vanilla levelled loot lists. Scarcity will not touch mod-added items that are outside of loot lists; for example Scarcity will not affect NPCs equipped weapons and armor, only the additional weapons and armor they might drop upon death. This ensures Scarcity does not change gameplay balance/difficulty. Gold adjustment by kuertee - The inspiration for this mod! Scarcity affects all item types but you can use kuertee's mod to further tweak occurrences of certain items as well as gold. 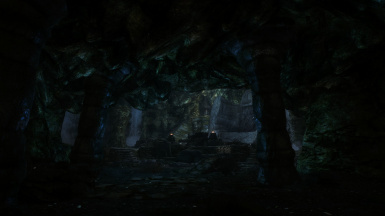 Trade and Barter by kryptopyr - Essential mod for balancing Skyrim's economy and adjusting it to your liking. I use fBarterMin 3.5, fBarterMax 7.5, and -40% Buying Price Adjustment to make it worthwhile to only sell items above a 10:1 Value/Weight ratio, while keeping buying prices close to vanilla, and making Speech skill more valuable. Reduced Gold Rewards for Quests by mjharper - Can work alongside kuertee's mod if you don't want gold from quests removed dynamically because of the immersion-breaking "Gold Removed" messages. Morrowloot by Trainwiz - Highly recommended. Removes high level armor/weapons/items from levelled lists and places them physically in the world where they make sense. Unfortunately, it also removes crafting recipes for high level armors, but you can edit the mod yourself to add them back in or use the Morrowloot - Nwah Edition below. Morrowloot - Nwah Edition by Kotep - Alternate version of Morrowloot with the ability to craft high level armors (not up to date). Morrowloot - Unofficial Dawnguard Patch by Scyantific - Removes Daedric weapons/armor from Dawnguard Dragons in Dawngaurd. Does not require Morrowloot to use. Skyrim Scaling Stopper by David Brasher - Highly Recommended. 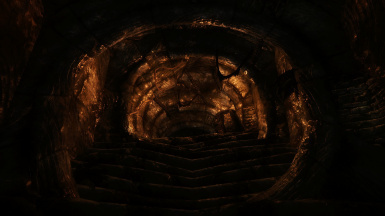 Enemies and loot don't level with you, instead you have a chance to encounter all levels of enemies/loot. More difficult. More rewarding. DO NOT use its outdated compatibility patches, use a Bashed Patch instead. Download using Nexus Mod Manager or download manually and copy all files in the 'Data' folder to Skyrim's 'Data' folder then enable the 'Scarcity - Less Loot Mod.esp' file. Enable one of the Loot Rarity modules and/or one of the Merchant Item Rarity modules. You must choose at least one module. I recommend the 6x Loot Rarity and 4x Merchant Item Rarity for most modded games. Place 'Scarcity - Less Loot Mod.esp' as far down in your Load Order as possible. The optional modules should be loaded after 'Scarcity - Less Loot Mod.esp'. If you are using a Bashed Patch, load Scarcity's .esp's RIGHT BEFORE THE BASHED PATCH. (HIGHLY RECOMMENDED) For compatibility with other mods, use Wrye Bash to create a Bashed Patch. Include "Scarcity - Less Loot.esp" and your chosen rarity module(s) in the Bashed Patch (DO NOT use any Bashed Tags). Remember that you must rebuild your Bashed Patch whenever your load order changes, this includes when you want to change rarity modules. If you are also using TES5Edit DO NOT include any of Scarcity's .esp's in your Merged Patch. You do not have to perform a 'Clean Save'. Just uninstall the previous version and then reinstall the new version according following the directions above. If you are using Wrye Bash make sure you REBUILD YOUR BASHED PATCH every time you upgrade or change rarity modules. Disable the mod manually or uninstall using Nexus Mod Manager. Any containers you have already encountered will respawn their contents regularly after the default cell reset period (usually 10 game days). Scarcity now affects Special Loot Chance. The Special Loot Chance is the chance that you will receive loot better than your current level allows. You used to have a 10% Special Loot Chance with any given dungeon chest, now with Scarcity that chance will be affected by your chosen Loot Rarity module. 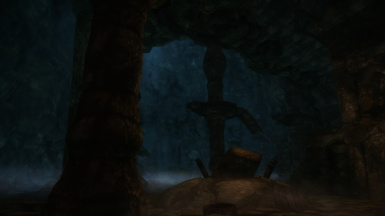 Scarcity now affects the Prowler's Profit ability obtained through the Thieves Guild quest line. The ability will still work, but will now be affected by your chosen Loot Rarity module. Made Scarcity modular. Now you can choose to use the Loot Rarity module or Merchant Item Rarity module standalone (still requires 'Scarcity - Less Loot Mod.esp' to be activated). Made scarcity of loot adjustable. By default it is 4x scarcer. 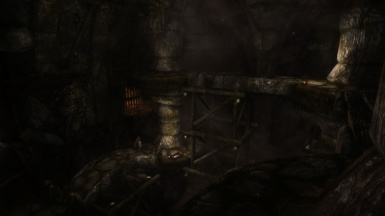 The source code for this mod is included for personal use. Please do not publicly modify or redistribute this mod without my permission. Thank you Bethesda for making my all time favorite games and providing us with the tools to mod them. Credit goes to kuertee's Gold adjustment, and theNiceOne's Enhanced Economy mod for Oblivion for inspiring the ideas behind this mod.